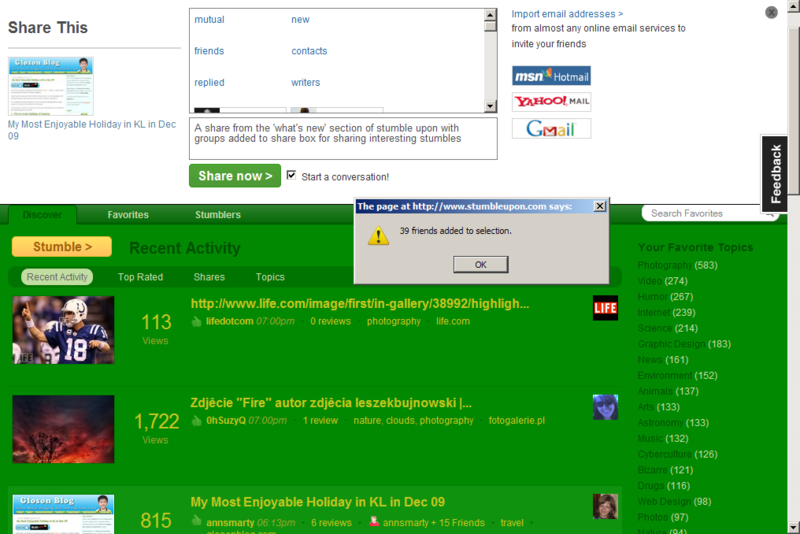 Groups for stumbleupon extended. An adaptation of SU V4 Friend Groups. 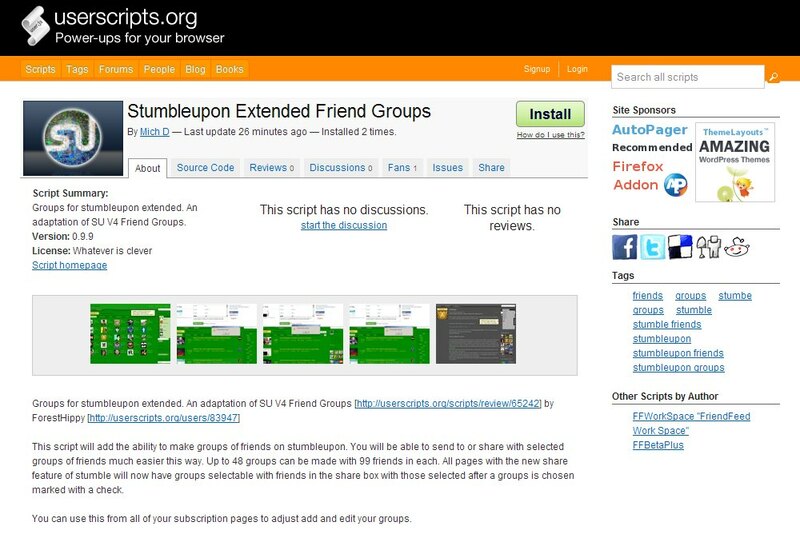 This script will add the ability to make groups of friends on stumbleupon. 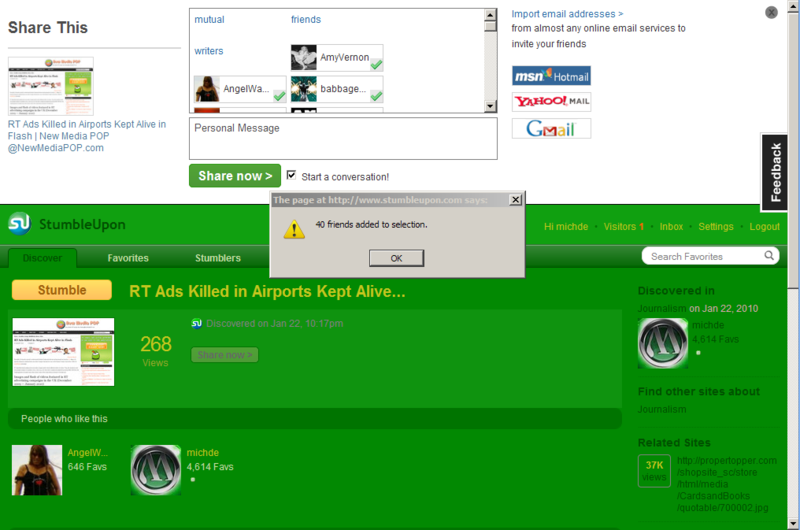 You will be able to send to or share with selected groups of friends much easier this way. Up to 48 groups can be made with 99 friends in each. All pages with the new share feature of stumble will now have groups selectable with friends in the share box with those selected after a groups is chosen marked with a check. 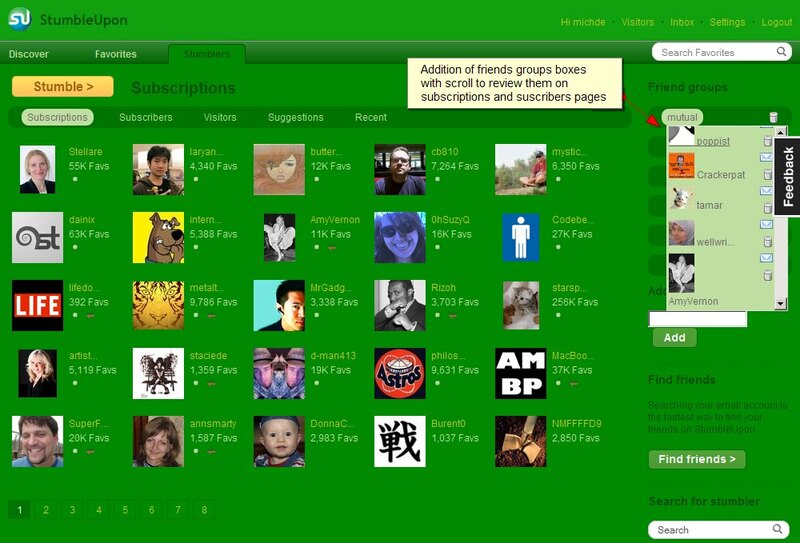 You can use this from all of your subscription pages to adjust add and edit your groups. I have set the greasemonkey auto update feature [http://userscripts.org/scripts/show/38017] with this script as I hope to brige it to function with su.pr pages as well. Please inform of any bugs in comments so I can attempt to fix them. 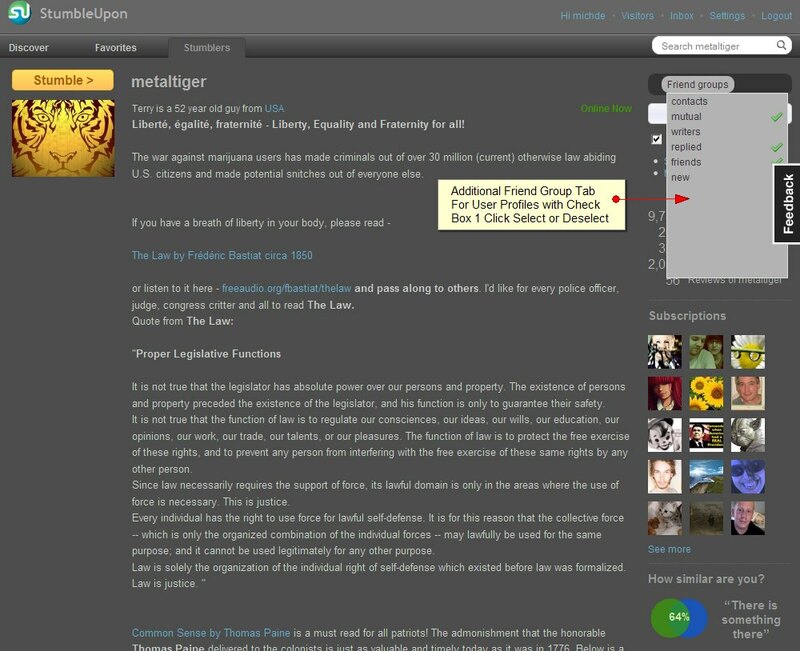 The script is planned to gain function with the stumbleupon su.pr short links. 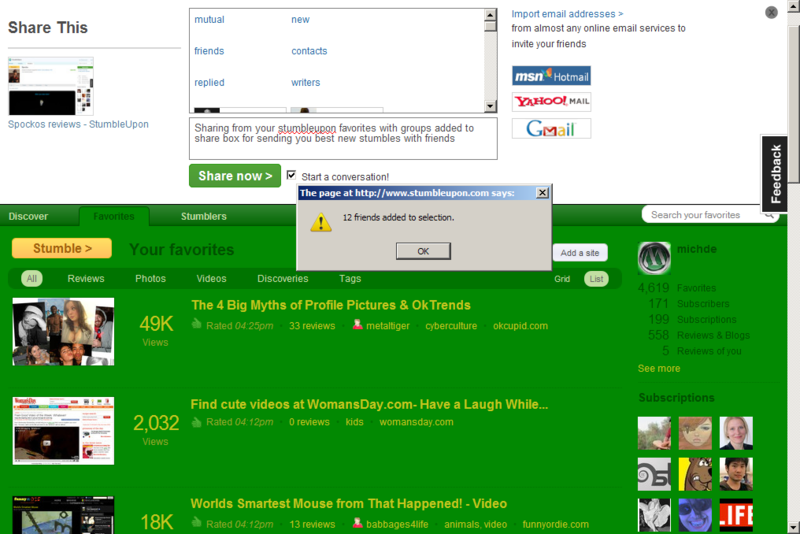 I know from experience it’s wretchedly hard to sort them and folders or groups would seem a great enhancement. Plans are in the works to build upon the grouping to included official SU groups to. Hope to update this soon and please join the discussion or let me know what you have to say in the comments below.